Is Ativan Rehab Aftercare Necessary? What is Ativan Rehab Aftercare? Aftercare services prolong support while adjustments to a newly sober life are made. The longer one participates in addiction recovery services, the better the chances of having a sustained recovery. Neurological changes causing cravings and discomfort for some months (protracted withdrawal). Psychological dependency upon Ativan to cope with the stress and discomfort of daily life. The tendency of another substance to be abused when abstinent from Ativan. Ativan addiction might develop due to underlying issues with anxiety or mental illness, which can become very apparent and difficult to deal with after treatment. Aftercare and relapse prevention will give you the support you need to overcome harrowing discomfort due to anxiety. If you or a loved one is in need of aftercare and relapse prevention, you can call 1-888-993-3112Who Answers? at any time to speak with an addiction support team member about available options. Research tells us that it is easier to become abstinent from Ativan than it is to maintain abstinence. This is particularly true of those who leave rehab without a plan for continuing care. While up to 70-80 percent of individuals are able to quit benzodiazepines like Ativan (or lorazepam) successfully through a well managed withdrawal management program, relapse remains one of the likely outcomes in the course of treatment for benzodiazepine addiction - with relapse rates close to 60 percent. Optimally, services should extend from rehab to a prolonged period of recovery because Ativan addiction creates a psychological dependence that makes the return home from rehab a critical time. For most, Ativan was the main coping strategy for the stress of everyday life. Relapse prevention services prolong support while adjustments to a newly abstinent life are made. The longer one participates in addiction recovery services, the better the chances of having a sustained recovery. Aftercare has been recognized as an essential component of a comprehensive management plan for benzodiazepine addicted individuals. Cognitive Behavioral Therapy (CBT) in conjunction with relaxation training--as offered as an adjunct to a gradual tapering off of the drug--has been found to be effective in reducing benzodiazepine use beyond the initial few weeks. Addiction is a chronic relapsing condition best treated with a variety of approaches that must be adapted at the different phases of recovery. Addiction is similar in its course to other chronic relapsing conditions such as diabetes, asthma and hypertension. Comparing their relapse rates, the similarities become quite apparent: addiction 40-60%; diabetes 30-50%; hypertension 50-70% and asthma 50-70%. Relapse rates close to 60 percent have also been reported for benzodiazepine addiction. To prevent the return to Ativan use or another abusable substance. To prolong periods between relapses. To mitigate the severity and length of relapse when it happens. Continuing care describes stages of Ativan treatment over an extended period that meets the changing needs of early recovery and even beyond. Ativan addiction has many components that can be effectively addressed in counseling. These include thoughts, feelings, beliefs and behaviors that have contributed to use and that can lead to relapse. Particular therapies have proven very effective in helping one address these so recovery can be maintained. 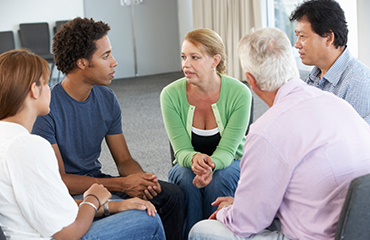 For example, group sessions in which recovering peers are present have proven to increase one's affiliation with self-help meetings in the community. Other well-documented and effective therapies are CBT-related relapse prevention; Motivational Interviewing and mindfulness/meditation techniques. With these, one can replace self-sabotaging thoughts, manage emotions, decrease stress, improve self-awareness and choose healthier behaviors. Cognitive Behavioral Therapy has been found to improve effectiveness of the widely recommended medical intervention for benzodiazepine addiction. When offered as an adjunct to gradual taper, CBT has been found to improve treatment outcome. Cognitive restructuring and cognitive behavioral strategies have been reported to foster a sense of control over withdrawals and help manage anxiety. Additionally, CBT has also been effective in improving sleep among those in recovery. This form of aftercare introduces the concepts of 12-Step programs such as Alcoholics Anonymous (AA) and Narcotics Anonymous (NA), as well as smaller fellowships such as Pills Anonymous. Participation in 12-Step groups has proven to prolong abstinence and to be a valuable addition to any other relapse prevention effort. Spiritual issues are considered intricately tied to addiction and recovery in these programs. Accepting addiction has made life unmanageable. Finding serenity and gratitude in one's life. Examining your actions and their effects upon others. Making amends to those you have harmed. 12 step facilitation treatment has been identified as an important adjunct to the medical management of drug addiction. In spite of limited research for alcohol and cocaine addiction, it has been reported to hold promise for other drugs of abuse in improving long term treatment outcomes. A decline in cognitive abilities and memory. Medical care may also be needed for conditions that were neglected during addiction. For instance, anxiety disorders, panic disorders, depression, bipolar disorder and PTSD commonly co-occur, and may be masked by, Ativan abuse. Life-time major depressive disorder and panic disorder have been reported to occur in up to one third individuals each with severe benzodiazepine dependence. Some will try to self-medicate such conditions with Ativan and leaving them unresolved after rehab creates a significant relapse risk. Offering a comprehensive intervention package with integrated intensive outpatient treatments, case management services and behavioral therapies such as Contingency Management has been recommended for treatment of severe co-morbid conditions among individuals with drug addiction. Finally, various medical as well as behavioral interventions can help address the underlying sleep problem that could have lead to Ativan abuse. TC or sober living, is a very effective aftercare plan that greatly reduces the risk of relapse for those addicted to Ativan. Research has shown that residents in a sober living community tend to be abstinent up to 12 and 18 months after that experience. Decreasing or stopping use if relapse has occurred. Decreasing the number of arrests and mental health emergencies. Increasing the chances of getting and maintaining employment. A recent review of the effectiveness of therapeutic communities has reported that the benefits extend beyond reduction in drug use. Residents have been found to have improved psychological, occupational and legal outcomes following their stay in the therapeutic community. Special population groups such as those with co-morbid psychiatric disorders also stand to gain from such treatment settings. Also, therapeutic community has been shown to be viable in prison setting as well. If you think a sober living community may help you or a loved one, call 1-888-993-3112Who Answers? for more information. Contingency management is a behavioral program that increases healthy choices, making relapse to Ativan less likely. Due to the physiological and psychological cravings for Ativan that can linger for some time, the support and structure of a contingency management plan is a good addition to any aftercare plan. Contingency management uses positive reinforcement, or rewards, to motivate abstinence and treatment participation. Rewards include incentives like vouchers that can be used to purchase items services. Another type of program gives prize incentives such as 'tickets' for cash drawings. Vouchers and prize incentives are given for attending therapy sessions, recovery activities and giving negative drug screens. It has been of proven efficacy as a direct intervention as well as an adjunct intervention in long term management of addiction. Contingency management has been found to be effective in ensuring benzodiazepine free urine samples among individuals on methadone maintenance therapy. Supporting someone in Ativan recovery can be stressful at times. Withdrawal discomfort can persist for some months after detox causing emotional distress and anxiety. Your loved one may want frequent reassurance and emotional support during this time. Keep in mind that, they may not only feel physically unwell, but they're coming to terms with the fact that they can no longer rely on Ativan for all sorts of comfort and coping. It will take some time for the symptoms to subside and for your loved one to feel capable and competent to manage without so much support. Involvement of family members and significant others has been recommended as one of the components of the aftercare for benzodiazepine addiction. You and your loved one can receive the support and help that you both need. You can call 1-888-993-3112Who Answers? at any time to speak with an addiction support team member about a variety of available treatment options. Darker, C. D., Sweeney, B. P., Barry, J. M., Farrell, M. F., & Donnelly-Swift, E. (2015). Psychosocial interventions for benzodiazepine harmful use, abuse or dependence. The Cochrane database of systematic reviews, 5. Thomas Mclellan, A. (2000). Drug Dependence, a Chronic Medical Illness. JAMA, 284, 1689-1695. National Instittue on Drug Abuse. www.drugabuse.gov. Stitzer, M. L., & Vandrey, R. (2008). Contingency management: utility in the treatment of drug abuse disorders. Clinical Pharmacology & Therapeutics, 83, 644-647. Stitzer, M. L., Bigelow, G. E., Liebson, I. A., & Hawthorne, J. W. (1982). Contingent reinforcement for benzodiazepine_free urines: Evaluation of a drug abuse treatment intervention. Journal of applied behavior analysis, 15, 493-503. Blondell, R., Richard, D., Behrens, T., Torsten, B., Smith, S., Susan, J., Servoss, T. (2008). 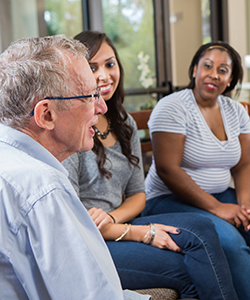 Peer Support During Inpatient Detoxification and Aftercare Outcomes. Addictive Disorders & Their Treatment, 7(2), 77-86. Blume, A., Schmaling, K., & A, M. (2000 ). Revisiting the self-medication hypothesis from a behavioral perspective. Cognitive and Behavioral Practice, 7(4), 379-384. Joseph, J., Breslin, C., & Skinner, H. (1999). Critical Perspectives on the Transtheoretical Model of Changing Addictive Behaviors - Bridging Clinical and Public Health Strategies . NY: The Guilford Press. Malcolm, R. (2002). GABA systems, benzodiazepines, and substance dependence. The Journal of clinical psychiatry, 64, 36-40. McLellan, A., Lewis, D., O'Brien, C., & Kleber, H. (2000). Drug Dependence, a Chronic Medical Illness. Journal of the American Medical Association , 284. Paraherakis, A., Charney, D., & Gill, K. (2001). Neuropsychological Functioning in Substance-dependent patients. Substance Use & Misuse, 36(3), 257-27. Tucker, J., Donovan, D., & Marlatt, G. (1999). Changing Addictive Behavior: Bridging Clinical and Public Health Strategies. NY: Guilford Press. What Did We Learn from Our Study on Sober Living Houses and Where Do We Go from Here? (n.d.). Wiklund, L. (2008). Existential aspects of living with addiction - Part II: caring needs. A hermeneutic expansion of qualitative findings. Journal of Clinical Nursing, 17:, 2435-2443. Williams, R. (2012). The Mindfulness Workbook for Addiction: A Guide to Coping with the Grief, Stress and Anger that Trigger Addictive Behaviors. Oakland, CA: New Harbinger.